The bogus Susan Rice “unmasking” story shows how desperate the White House is getting. Susan Rice’s alleged “unmasking” wasn’t illegal, or even unusual. Then–National Security Adviser Susan Rice during an interview about the nuclear deal reached with Iran, at the White House in Washington on July 15, 2015. President Trump and his aides have been doing all they can to divert attention from the mounds of evidence linking him or his campaign aides to Russian intelligence, but the latest distraction—the Susan Rice “unmasking”—ranks among the most desperate. Yet because the issues it raises are so obscure and confusing, it might also prove among the most effective. So let us wade into the muck. Here are the facts, as we now know them. Sometime after the 2016 election, Susan Rice, President Obama’s national security adviser, obtained transcripts of telephone conversations in which Russian officials were discussing members of Trump’s transition team. It is unclear, from the news accounts, whether the Russians were talking with these team members or simply talking about them. Either way, under strictly observed law, the National Security Agency, which intercepted those phone calls, is required to redact the names of all American citizens or residents who happen to take part, or be mentioned, in such conversations—and, instead, to identify them as “U.S. Person 1,” “U.S. Person 2,” and so forth. As a result, the names of Trump associates in the Russian phone calls were “masked” in the transcript. The charge is that Rice asked the NSA to unmask the names. According to Eli Lake, in Bloomberg News, this is the big revelation that Rep. Devin Nunes, chairman of the House Intelligence Committee, learned during his secret visit to the White House on March 21 and described in vague terms to reporters the following day. Nunes and some other Republicans say this supports Trump’s claim that the Obama White House had Trump’s team under surveillance. Further outrage comes from the editorial page of Tuesday’s Wall Street Journal, which describes Rice’s request for the uncensored names as “highly unusual—and troubling” and says of Nunes’ allegation, “Now we know he is onto something.” In fact, however, Rice’s request was not at all unusual or troubling. Nor does the whole business lend the slightest support to the (thoroughly rejected) notion that the Obama White House was spying on Trump’s team. Hayden also said, “There are very plausible, legitimate reasons why she would request such information.” Though he didn’t elaborate on what those reasons might have been, the pertinent regulations specify that unmasking might be requested, and allowed, if the names in question are pertinent to foreign intelligence. 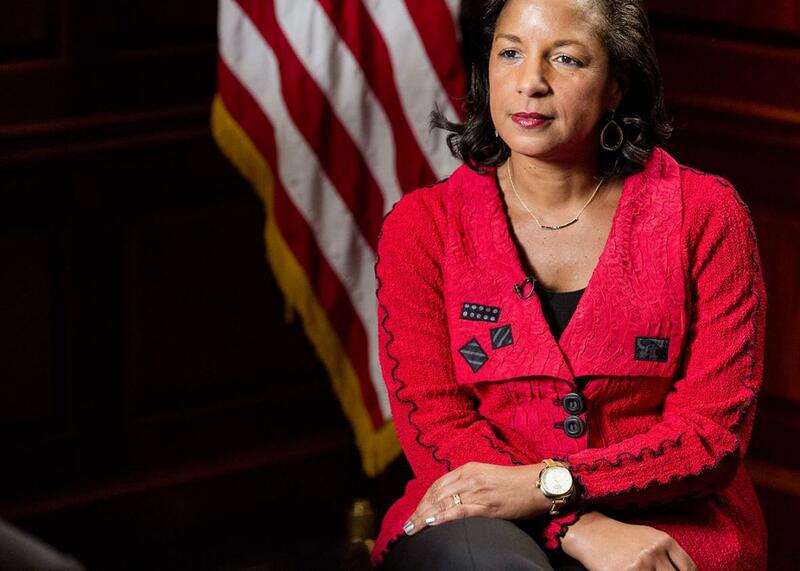 When Rice made her request, there were ongoing investigations of Russia’s involvement in the election, of the role Trump advisers might have played in this involvement, and of efforts by some of these advisers to undermine U.S. foreign policy, specifically on sanctions toward Russia. It’s worth noting that we don’t know—or at least no news story about the incident has reported—whether the NSA granted Rice’s request and gave her the unmasked names. Even if she did, Hayden emphasized in his email, “the identities would be unmasked only for her”—and not for any other official who received the transcript. Hayden allowed that “appropriate officials” might want to investigate precisely why Rice asked for the names or whether she shared the information she received (if she ever actually received it). But even these matters are irrelevant to the real question at hand: whether Team Trump colluded with senior Russian officials to tilt the election. The Rice story is not even relevant to what Trump has tried to depict as the real question: whether Obama was spying on Trump Tower.